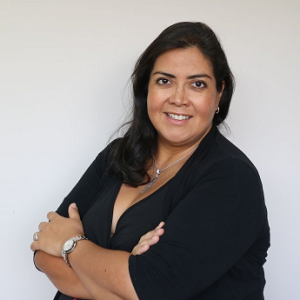 María Elena Sierra Díaz is a Founder and Managing Partner of AS Consultores, Mexico, a firm specialized in trading, focused on the national and international marketing of products. Legal Consultant in Global Logistics. Development of business strategies and plans. Auditing and Consulting in International Trade and Logistics. Advising and consulting services related to Trade and Logistics. Assistance, monitoring and implementation of work teams. Issuance of the legal and extraordinary journal. Assistance to the Customs Operations Committee of the Tax Administration Service. Legal affairs and trials of the Association. Corporate documents of the company. Attention to the authority’s requirements. From August 2015 to February 2016, I worked as the Acting Director of the Association by carrying out actions and tasks aimed to represent and defend the interests of AMACARGA, at a national and international level. Since 2004 Maria has practiced as a consultant and attorney at law with Armenta Sierra Consultores Y Asociados. S. C. as an Individual Member of the International Federation of Freight Forwarders Associations FIATA. She has been Legal Consultant of the main clients in the Trading and Logistics communities, such as Ansell México, Servilámina Summit, Mexico Air Cargo Systems, Blu Logistics, Grupo Padilla, Palazuelos Hermanos, Multienlaces de Transporte Internacional, Crossmotion Logistics, Electrodos INFRA, Kerry Logistics, SeaCargo Logistics, Tito Global, Logística Integral en Transportación, LIT Comercio Internacional, among others. Legal Consulting in Tax Law and International Trade, as well as operational, legal, commercial and corporate consulting. She advises on International Trade Consultant concerning issues such as Customs Valuation, Countervailing Duties, Tariff Classification, Trade Agreements Interpretation, Tariff and Non-Tariff Barriers, Quotas, Origin Verification Procedures, Fair Trading Practices, among others, and has acted as course instructor in many areas including Transportation Limits of Liability, International trade, Tax Reforms Update, Storage and Demurrage, Customs Clearance, STC, Cargo Transport Logistics: scope and performance according to the applicable legal framework, INCOTERMS, Tax payments, and Accounting Transactions, as well as Tax and Financial Strategies.